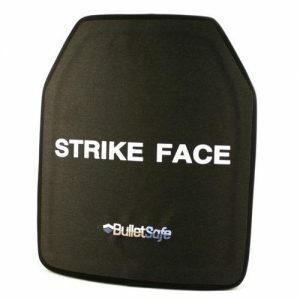 Plates and soft armor are not included with this sale, please see our other listings for them. 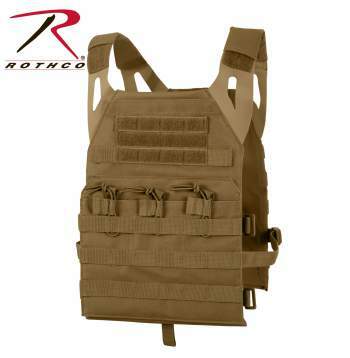 The Lightweight Plate Carrier Vest from Rothco is not your typical plate carrier vest, weighing in at just over 1 pound this tactical vest offers superior weight savings, mobility, and ventilation for the user. 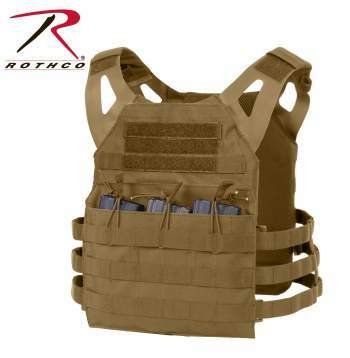 The front of the tactical vest features three rows of MOLLE loop material, three pistol mag slots at the top center and three rifle mag slots both with elastic separators & elastic cord and hook & loop closures. 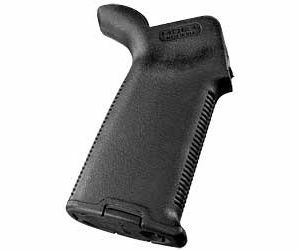 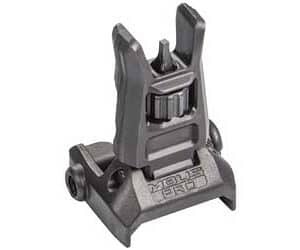 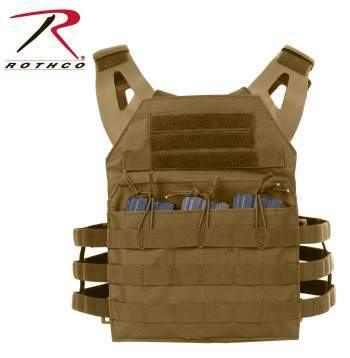 In addition, the front features an integrated MOLLE system with three rows of MOLLE webbing for attaching MOLLE pouches and gear. 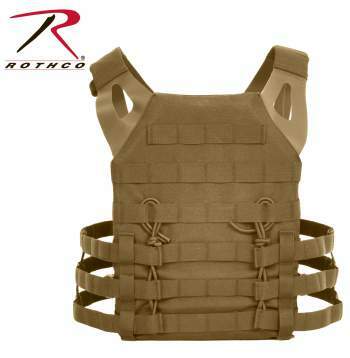 The back of the vest features six rows of MOLLE webbing. 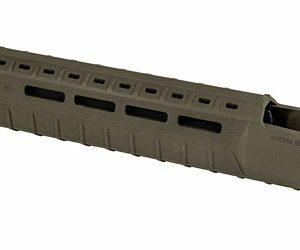 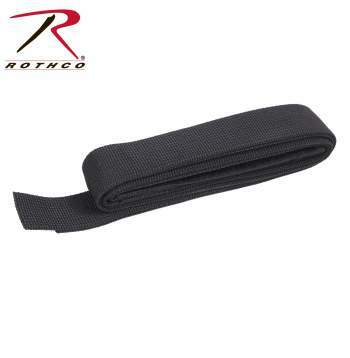 A skeletonized MOLLE cummerbund system is designed to ensure optimal fit, minimal weight and added ventilation with three rows of durable plastic reinforced MOLLE webbing. 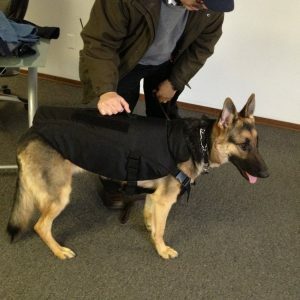 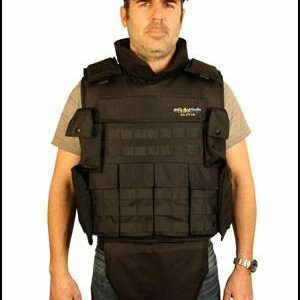 The vest is fully adjustable with two elastic cords for attaching to the backside of the vest and 5″x5″ panel with loop front and hook back. 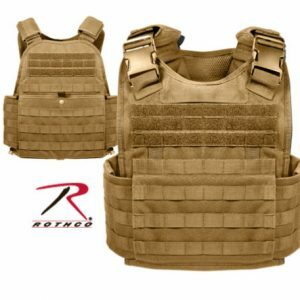 The shoulder straps are also adjustable with a soft material covering the hook & loop straps, and the straps are fitted with hook & loop tags for attaching a hydration hose. 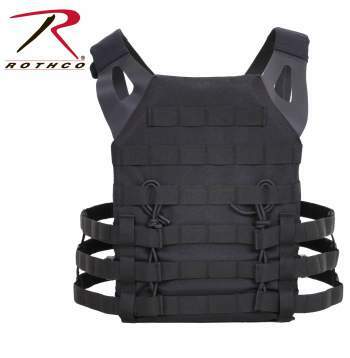 Both the inside front and back panels are equipped with a stretch mesh material for added comfort and ventilation. 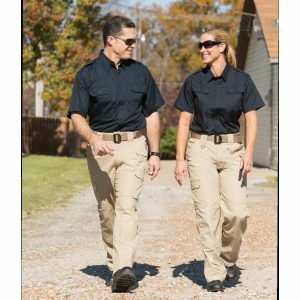 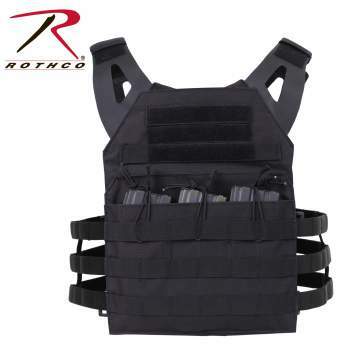 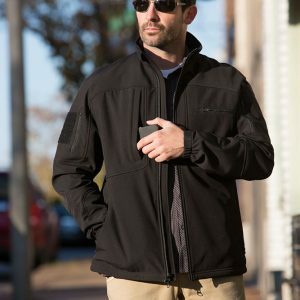 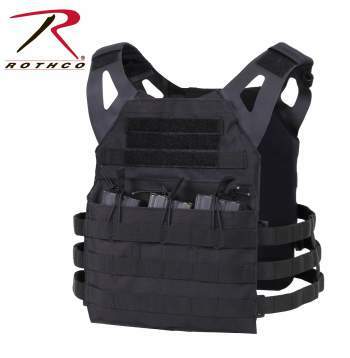 Rothco’s Lightweight Tactical Vest has stripped away the bulk of a typical tactical vest for an ultra-lightweight fit.